The OPENING of the PS122 building after years of renovation proved to be worth the wait! 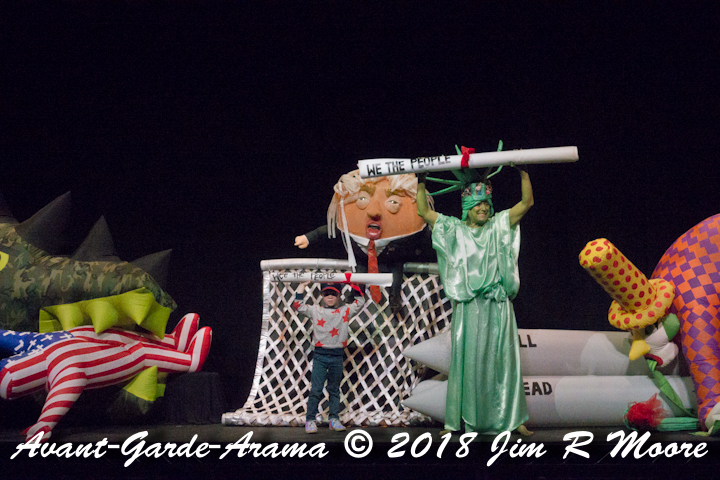 Here are my images and video from the AGA Extravaganza on this night! Opening the show in the Derek Lloyd Stage was Pat Oleszko and her beautiful inflatables. 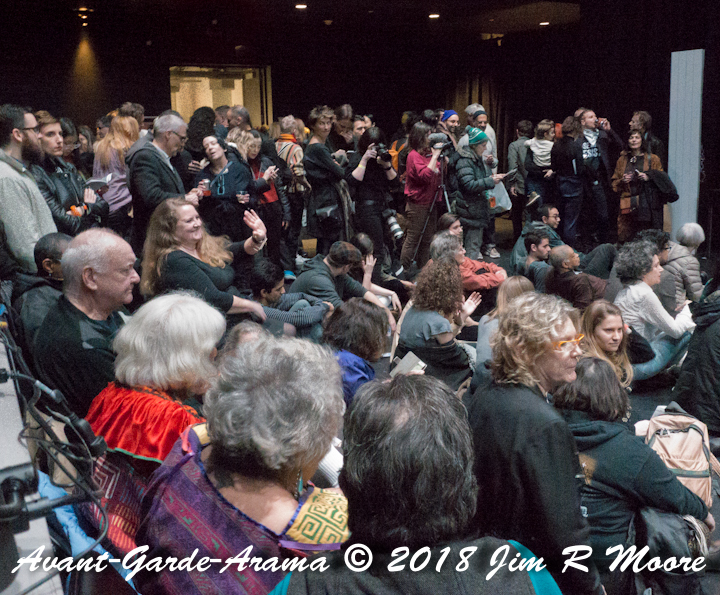 The theater was packed for the AGA show in the Derek Lloyd theater. 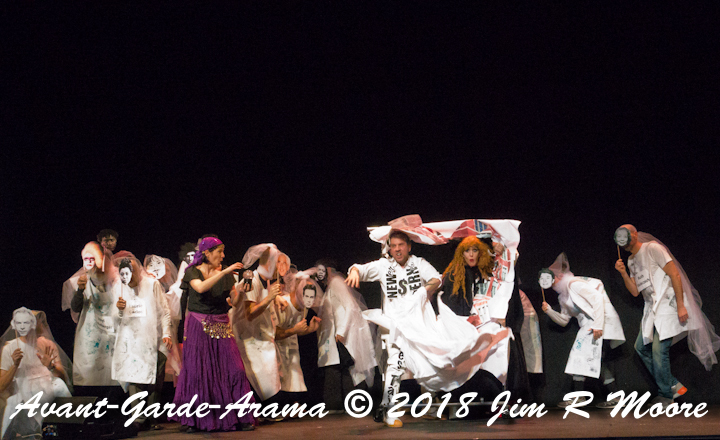 Salley May and the ensemble players bust open the place with a great song and dance exorcism. Mediums: Jacqueline Zahora, Pedro J. Rosado Jr. Kid Evil-Slayers: Louise May, Annabel Sexton-Daldry, Graham Greene, Lois Houck, and Logan Martinez. 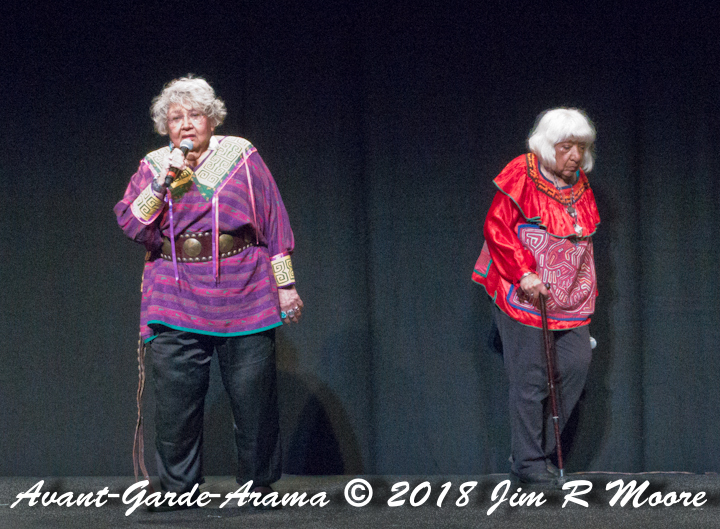 Spiderwoman Theater (Muriel Miguel & Gloria Miguel) had some stories to tell. 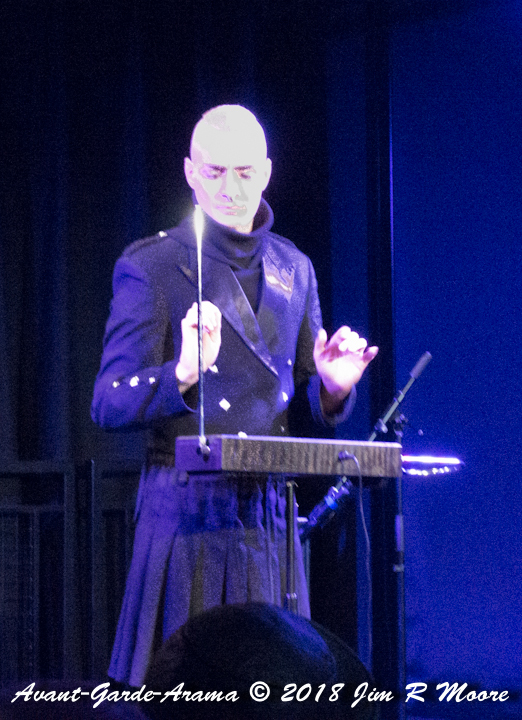 In the other space – Neilma Sidner Theatre – I walked in on Cornelius Loy playing the theremin. 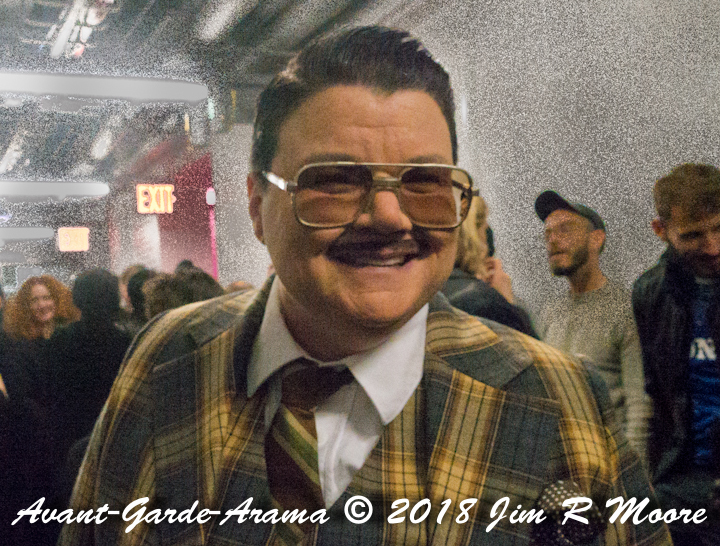 Murray Hill was on hand hob-nobbing with the crowd in the hallway. Lois Weaver and Holly Hughes having a drink together. 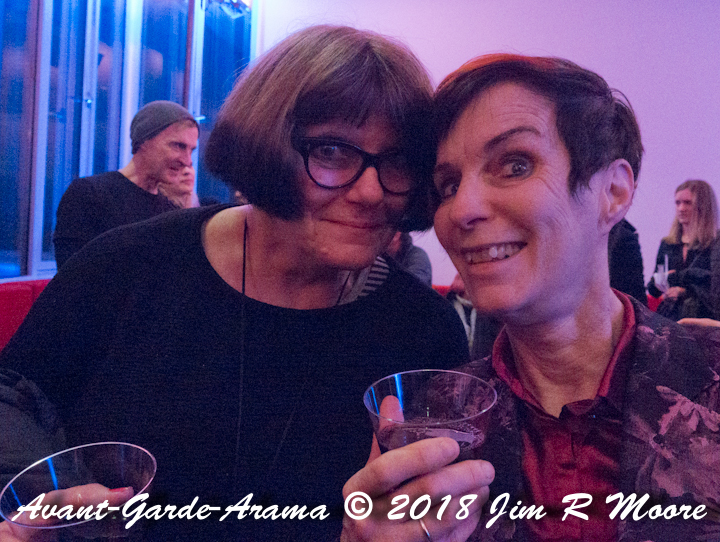 Hanging out near the bar before the performance was Patti Spliff. 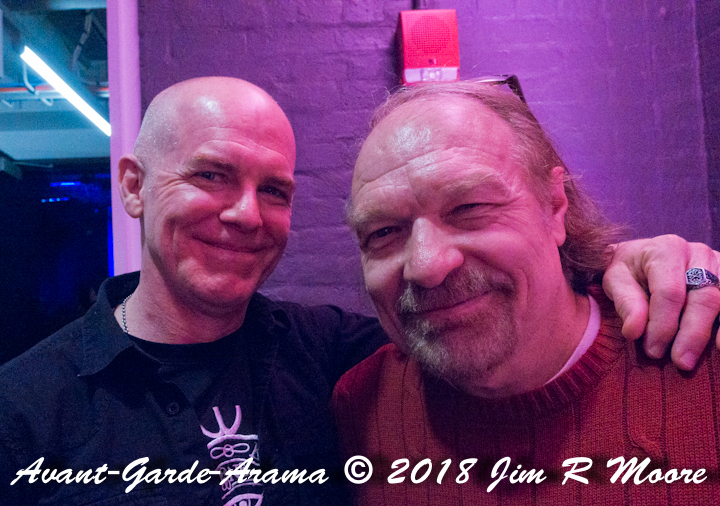 James Godwin (performing in the Neilma Sidney Theater) and Gary Ray. 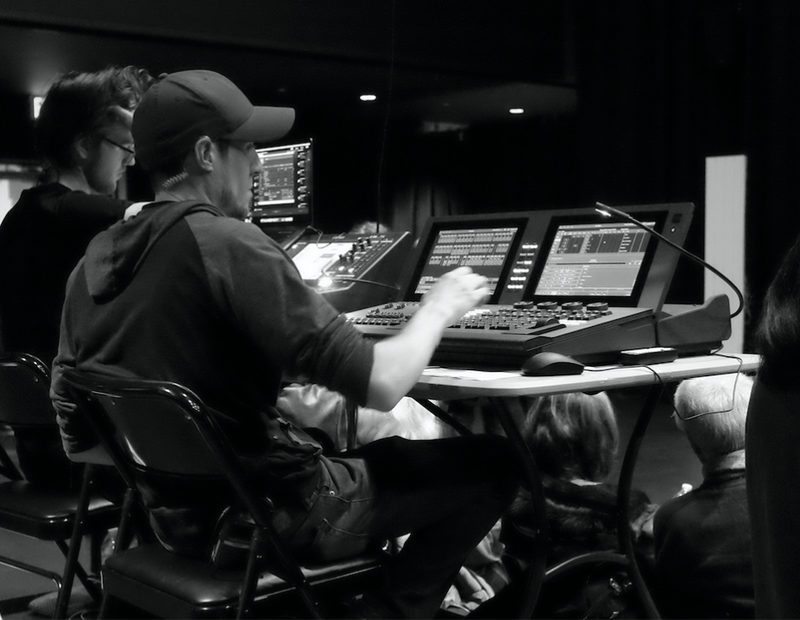 The sound and lighting crew did a great job running the shows in both theaters. The upcoming shows already scheduled go here! Click Here for Twitter for Performance Space New York. Vaudevisuals interview with Elise Gainer - ‘The Bloody Deed of 1857’.